As the government grants ramblers limited rights to roam, Ellen Kemp takes a detailed look at land ownership, wealth and power in Britain today. Land ownership is not an issue that the Left discusses very much at all. The Parliament of England and Scotland have given ramblers a limited right to roam across open countryside. The fact of increased home ownership has seen the wealth of the middle classes appreciate enormously in recent decades. Since 1979 home ownership has increased from 57% to 70%. This state of affairs is contingent on the amount of land available for house building. The state’s planning laws means that land for housing is sold at over-inflated prices by the land-owning classes. For those at the bottom of the social scale even being able to rent or buy a small home is becoming increasingly difficult. 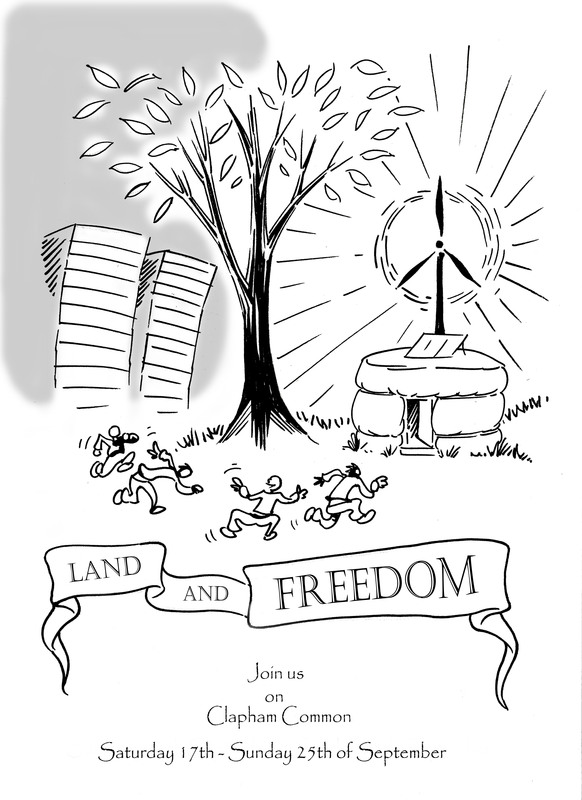 As one campaigning organisation (www.thelandisours.org.uk ) states, everyone should have the right to a home, the right to roam, and the right to enjoy the resources of the land. The growth of home ownership should not however detract from an enquiry into who really owns land in the UK. The land-owning class in the UK is hugely wealthy, secretive, and wants to deny you and I access to and use of the land that they own. On 10 January Peter Snow and his son Dan in a BBC programme called ‘Whose Britain is it anyway?’ sought to unravel the mysteries of land ownership in the UK. The programme was largely based on exhaustive research by Ken Cahill whose book Who Owns Britain was published in 2001. The largest institutional landowners are The Forestry Commission with 2.4 million acres, then the Ministry of Defence with 750,000 acres followed by the National Trust with 550,000 acres. The Church of England only owns 135,000 acres, down from over 1.5 million acres in the 1870s. It seems likely that parish vicars took advantage of their control of local church land and sold off vast tracts for personal gain. The Crown Estate owns nearly 400,000 acres, and is worth over £5 billion, with profits in the region of £180 million per annum. This body owns land ‘in the right of the crown’ and pays its profits into the coffers of the exchequer, which in return repays some of the income to the Monarchy for its annual expenses, that is the Civil List. In theory the monarchy could claim back the Crown Estate for its personal use at any time. The Prince of Wales has an institutional estate – the Duchy of Cornwall – of 141,000 acres; this includes freehold on much of Kennington area of London worth an estimated £500 million. The Queen is also the Duke of Lancaster and the size of this estate is estimated to be 50,000 acres. Finally the Queen has private lands of another 75,000 acres, and this includes the Balmoral estate in Scotland. Remember that until very recently the Windsors paid no tax on income from their lands. The largest private landowner is the Duke of Buccleach with 270,000 acres; and the wealthiest is the Duke of Westminster with 140,000 acres in the UK, 400,000 abroad, but most importantly 300 acres of the richest real estate in the world in central London. In the 1870s his predecessor the Marquess of Westminster, who was one of the wealthiest persons in England, held only 20,000 acres. Impressed by his wealth Queen Victoria made him a Duke. The family can trace its roots back to a Norman invader Hugh de Gras Veneur who seized land in Cheshire after 1066. The argument of Gerard Winstanley concerning the tyranny of the ‘Norman Yoake’ and their control of the land still rings true! There are in the UK over 40,000 people who own land worth at least £1 million. Who many of these people are and how they acquired their land is a mystery. Most figures concerning private land ownership are only estimates because 50% of the land in the UK is not registered. The Land Registry only registers land when it is sold. Those who have held estates for generations are under no obligation to tell anyone about their holdings. How did this state of affairs come about? The Norman conquest of England in 1066 saw all land taken under the ownership of the monarchy. To this day the monarchy – in theory at least – owns all the land. The Normans changed the ownership of land with the King giving land as tribute to Norman lords and barons and depriving the Saxons. The Domesday book was the first audit of land. And the resulting system of feudalism exacted free labour, goods and produce and free military service to the land-owning classes for the rest of the middle ages. The Diggers sought to challenge the ‘Norman Yoake’ and return the land to common people. As one Diggers’ pamphlet proclaimed ‘Seeing that the common people of England by joint consent of person and purse have caste out Charles our Norman oppressor, we have by this victory recovered ourselves from under this Norman yoake…and the land is to be held no longer from the use of them [the commoners]’ Their attempts to build communal farms were persecuted by local landowners and the Diggers were dispersed. The Diggers obtained nothing from the new Republic which eagerly sold off Church and Royalist land – the spoils of war – to its own loyal aristocrats. The redistribution of land was so enormous that Charles II under the Restoration could not undo the redefined status quo. In the 1870s a political argument took place on the question of land ownership between the radical liberal John Bright and the conservative aristocrat Lord Derby. Bright had argued that very few – about 150 aristocrats – owned half of England and that this group used the Corn Laws to stop the importation of cheaper corn. For Bright this amounted to a subsidy to this class. Lord Derby -himself a very large landowner -claimed that land ownership was much more widespread and consequently Bright was wrong. The result was an enquiry into land ownership. In 1872 the British Government published The Return of the Owners of Land, which is only the second audit of land to have taken place in British history, the other being the Domesday book in 1086. After 2 years of gathering all the information the returns found that 1 million people owned freeholds, about 5% of the population. The ten leading Dukes in the Kingdom owned over 100,000 acres each with the Duke of Sutherland owning 1,350,000 acres. The Duke of Northumberland owned 186,000 acres then and still owns 132,000 acres. Both sides claimed victory, and the land-owning class realised that they had given up too much information about their assets and wealth. Since 1872 there has not been an audit of the land and the state effectively screen landowners from any enquiry into their activities, and their colossal wealth. The Royal Commission into the wealth of Britain set up by the Labour government just before Thatcher hoped to examine land ownership but found a paucity of information on the question. Thatcher abolished the commission on coming to power. None of the major political parties in the UK has any policy to redistribute land, with one exception; the Green Party. This situation is indicative of the cosy relationship that those whose arses grace the seats in the Palaces of Westminster have with the land-owning elite. On the other hand the Green Party believes that: ‘Land, the primary source of all real wealth, is the common heritage. We acknowledge that land is held in trust by human society on behalf of other species and future generations, and that land should not be treated as a capital investment nor traded for speculative profit.’ One only hopes that Jonathan Porritt CBE; Charles Windsor’s environmental advisor inculcates this advice into the prince’s ear! Lord Derby declared in 1881: “The object which men aim at when they become possessed of land in the British Isles may, I think, be enumerated as follows. One political influence; two, social importance, founded in territorial possession, the most visible and unmistakable form of wealth; three power exercised over tenantry; the pleasure of managing, directing and improving the estate itself; four residential enjoyment, including what is called sport; five the money return – the rent”. Derby’s point of view concerning land was not only indicative of the time, but certainly abounds amongst landowners today. The Land Reform Act (Scotland) of 2003 that gives Scots the right to roam and also the right for communities to purchase land that would benefit them. It caused strong reactions from the land-owning elite, with one of them commenting that ‘the only countries in the world left with this kind of thing are North Korea and Cuba’. Over the centuries the land-owning class has created vast wealth for itself from its holdings. This wealth has been derived from agriculture, forestry, rents, mining and hunting and sport, and since the later part of the 20th century tourism. They have always pursued their profitable goals against the common interest and at the expense of ordinary people. The Highland Clearances led to the displacement of 500,000 Highland peasants and crofters in the early part of the 19th century, being replaced by sheep. Crofters were denied rights to seaweed, or access to summer pasture for their animals. Enclosure of England’s Commons and wasteland that began at the time of the Diggers was to last into middle of 19th century. Enclosure occurred at a greater rate in those counties where profits were larger, in particular for produce demanded for the ever-expanding urban industrial areas. Similarly today it is advantageous to grow for profit. In this case not what can be sold, but what is subsidised. Research by Oxfam estimates that the seven largest growers of cereals receive nearly £900 a day in subsidy. This includes the good old Duke of Westminster. In 2005 figures for the distribution of subsidies were published for the first time, the Duke received £799,000 over 2 years. The highest payout was to a Sir Richard Sutton who received £2.2 million. Some small farmers received only £25 and one received 31p! The elite only pay council tax on their houses as everyone has to do, but nothing on the vast assets they own. The large landowners who own the estates where hunting and shooting are a major source of revenue have always been keen to keep the public out. The laws of trespass and the use of a private police force – the gamekeepers – have tried to stop people from using land, walking across land and using products from the land. There were battles between gamekeepers and ramblers in the Peak District in the 1930s. At times of economic misery in the countryside in the 19th century poachers and gamekeepers were locked into a war. Many poachers who were caught were exported to Australia never to return. 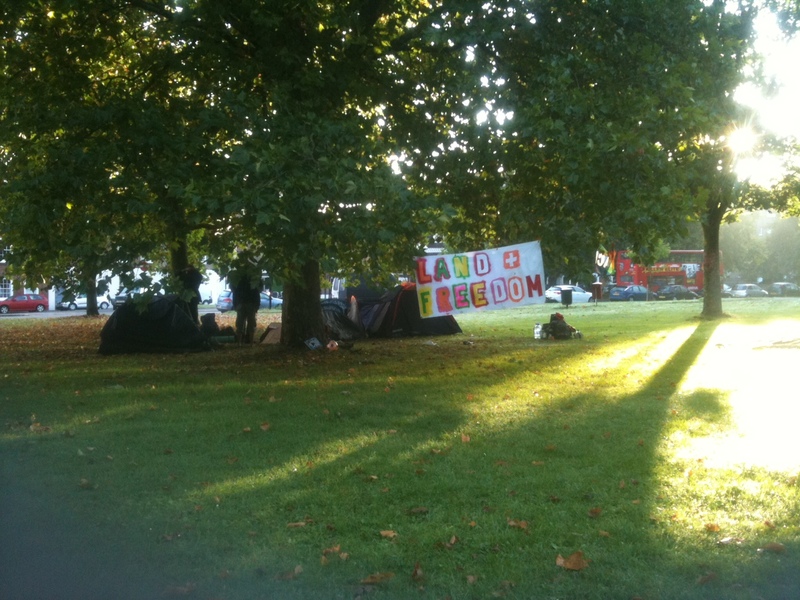 This is a message from the Land&Freedom Camp on Clapham Common. We are firmly rooted here, sheltered by the trees and encouraged by the positive and frequent interactions with the local community. It is clear that people here are fed up with the prohibitively expensive housing in London, empty houses, lack of growing spaces and not having anytime for the things they care about (due to the economic burden they are carrying). So far we have had some great events including a bike powered cinema screening of: ‘The Battle of Algiers’ (there is an Indymedia article here). Yesterday we had a ‘land rights and housing discussion’ which was attended by several people living locally. It was really insightful to hear the things people have to do to keep sheltered, eat and generally survive. Much common ground was established between all present with a consensus that the vast economic inequalities in land ownership and the draconian planning laws had to change for things to improve. We have plenty of other events planned for the week (see our schedule below). If you’d like to join us, there is plenty of space 8). Please email: landandfreedomcamp@aktivix.org or call: 07963 475 195 if you have any questions or are trying to find us. There is a map below). The Land & Freedom Camp has landed! We’ve setup an information point today, Sunday 18th of September. Feel free to come and join! We are on day 2 of Land & Freedom Camp having enjoyed a peaceful night on the Common with no serious disturbances or oppression from anyone. The atmosphere here is good. We have setup an info point with fliers, books and information on many subjects relating to the land. The locals seem to be enjoying our presence. Tonight there is going to be a bike powered cinema screening of Winstanley, a dramatic film chartering the 17th century group of radicals and Gerrard Winstanley, an outspoken member of the movement. 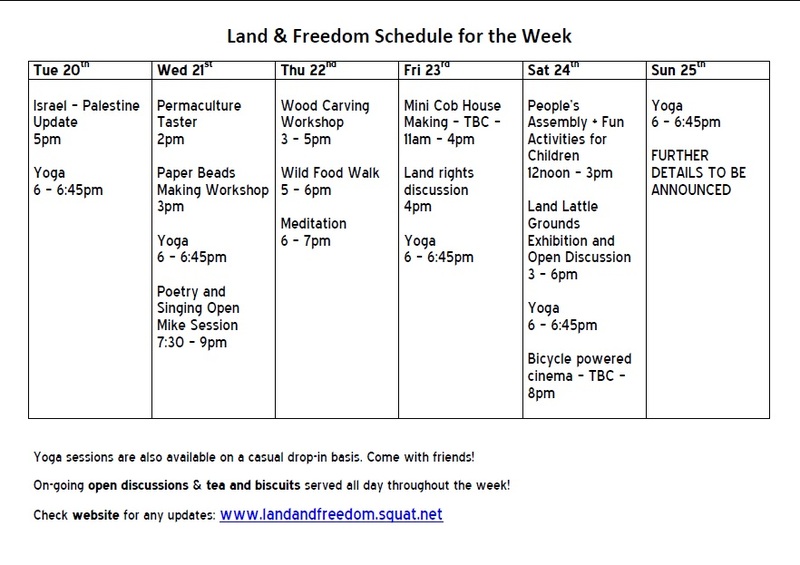 This week we are setting up various workshops including a daily craft event, two yoga sessions daily (9-10 am & 6-7 pm). Tomorrow (Monday) there will be a subterranean expedition. If coming along, just come to the camp at 1 a.m. Also on Wednesday night will be having a poetry and open mic session from 7.30 p.m. come on down an express yourself (or enjoy the expression of others). We are situated next to Holy Trinity Church on Clapham Common, about 5 minutes walk from Clapham Common station in the Old Town. We’re just opposite Clapham Library and Starbucks. If you have any trouble finding us, call: 07963 465 195. Also you can visit: www.landandfreedom.squat.net for more info. 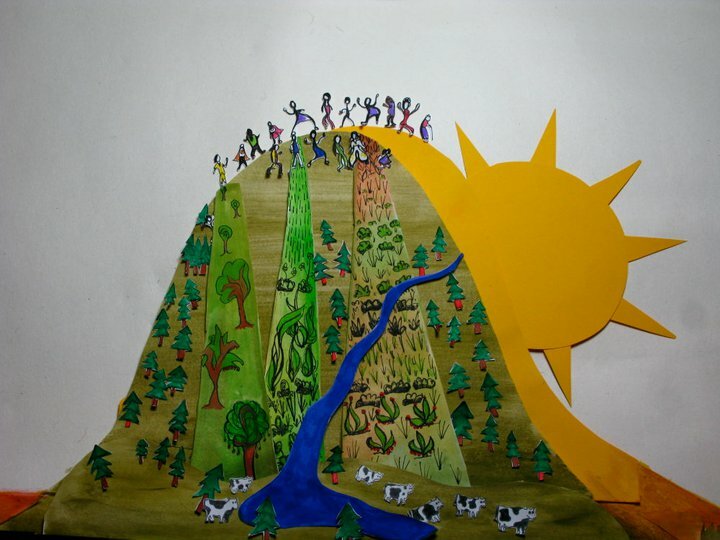 Everybody is welcome to bring ideas for presentations, topics of discussion, workshops, activities, musical and/or art performances relating to the core issues of the Land & Freedom Camp. Please bring warm and water proof clothing, tents, food & water, food & water containers, informative banners and artistic materials. We are especially looking for videographers, photographers, people with skills in real journalism, people willing to cook, laugh, discuss, communicate and who share a passion for the Land & Freedom Camp cause – Reclaiming the Commons! Please support us and help spread the word about the Land & Freedom Camp! This Earth divided we will make whole so that it can be a common treasury for all. 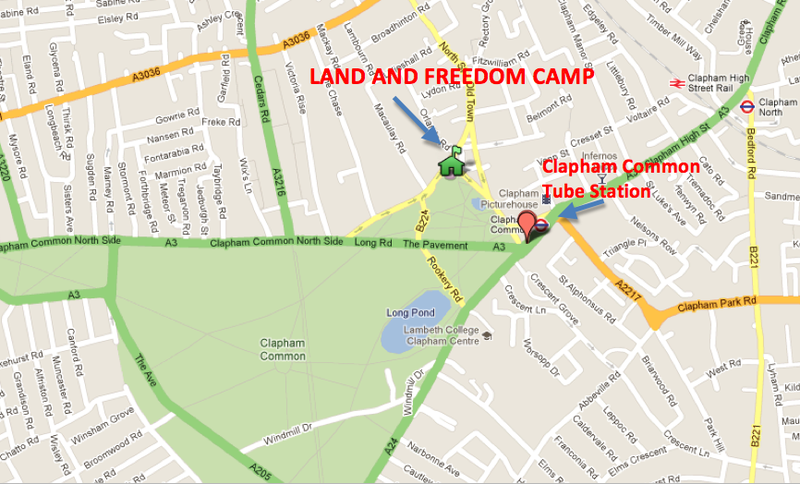 Posted in Uncategorized	| Comments Off on Land & Freedom Picnic this Saturday @ the Bandstand, Clapham Common. 12 Noon onwards. 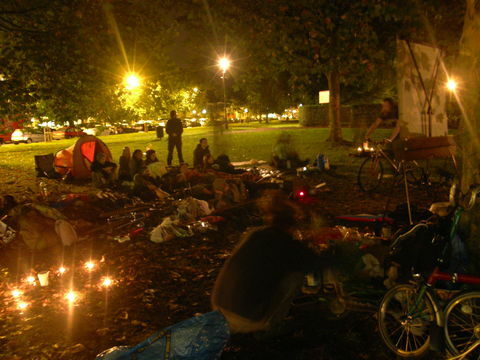 Join us on Clapham Common from the 17th to 25th September 2011, for debate, demonstration and community building; to share hope and inspiration and work together towards a true global solidarity in spirit AND action. 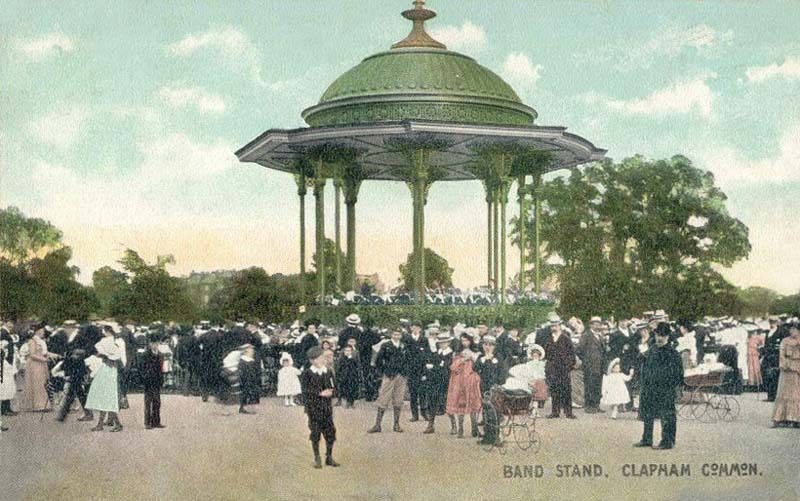 Where do we meet: We will be meeting at the Bandstand on Clapham Common from 11:59 a.m on Saturday 17th September. If you can print off some fliers and distribute them. Planning meeting this Thursday 8th September in the Royal Festival Hall, Soutbank, London. Meet in Blue Zone, 4th Floor at 3 p.m. Please call or text : 07963 475 195 if you can’t find us. The current planning system in England makes it virtually impossible to build a low impact sustainable home on agricultural land. 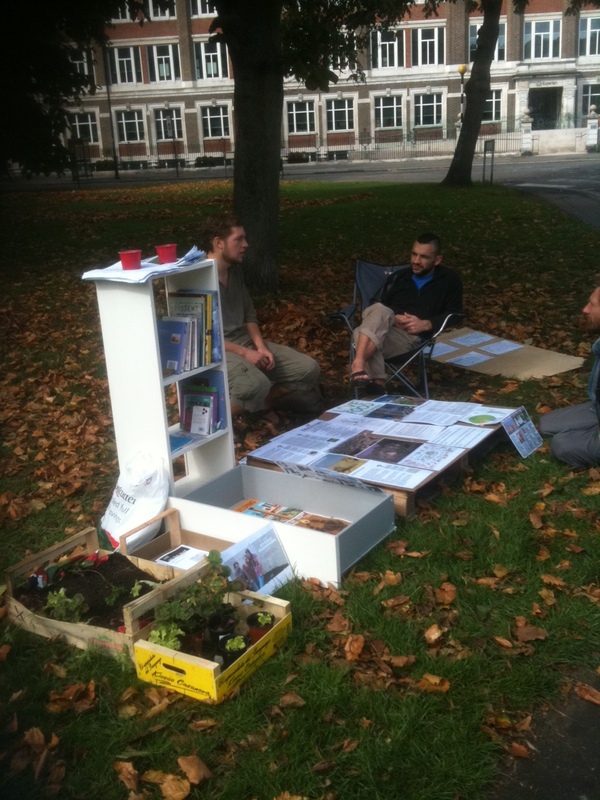 This is an update on the Land & Freedom Camp: a 7 day open exhibition and demonstration taking place on Clapham Common from Sat 17th Sept til Sun 25th Sept.
the ensuing effect of artificial scarcity of available land that the restriction of access creates: driving up the cost of housing and reducing it’s availability in both cities and the rural areas. This creates a slave culture where people struggle to make end’s meet in crammed urban environments or as for the most of the world’s population even to put food in their mouths. the modern legacy of political structures that serve the interests of the land owning establishment which have been previously constructed through history by the same priveleged group. the laws and land grabs which these structures continue to push forward dispossessing people locally and globally: whether it be the UK Gov’s agenda to ban squatting, evicting people from their land (Dale Farm) or as in Africa with the forced dispossession of people from the land they depend on for their survival. We go peacefully to Clapham Common calling for a radical change in the economics of land ownership: a redistribution of land locally and globally and a reform of the laws which currently prevent reasonable access to the land by the common people. 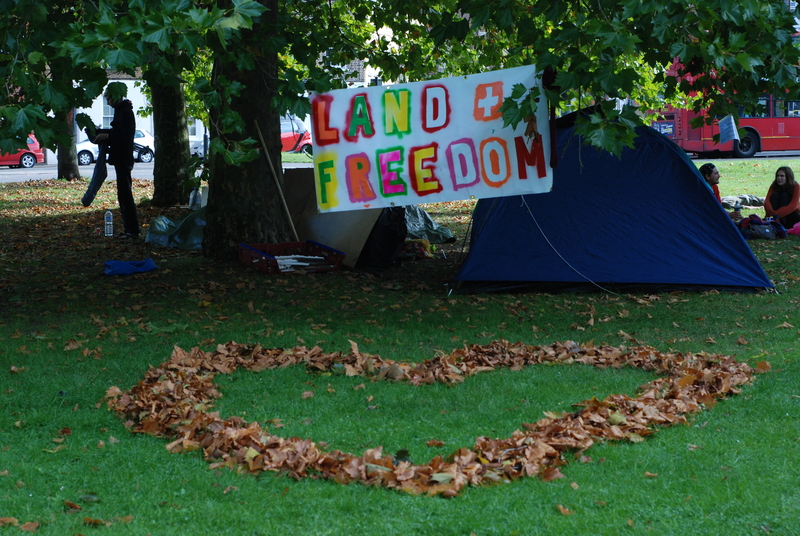 On Saturday 17th September, we will be meeting at the Bandstand on Clapham Common from 12 O’Clock onwards for the opening ceremony of the Land & Freedom Camp. Join us, whether you intend to stay the night or not. There will be some music, presentations, a people’s assembly, games and a picnic. If you want to, bring an instrument, some food and/or a game that groups can play. Event: Land & Freedom Camp opening ceremony. Transport: Clapham Common tube or Clapham South. Buses from Clapham Junction. Contact: 07963 475 195 for any questions. If you fancy making some beautiful banners, this Monday (12th Sept), there will be an oppurtunity to paint banners for the Land & Freedom Camp at Passing Clouds from 6-8 p.m If you are able to please bring along paint and or banner material/brushes. Final planning meeting @ the Royal Festival Hall on Wednesday. The final open planning meeting for the Land & Freedom Camp will be this Wednesday (14th Sept) in the Royal Festival Hall, Southbank, London from 6 p.m onwards. The purpose of the meeting will be logistical preparation for Saturday’s opening ceremony and the rest of the camp, PR strategy organisation and networking the event. Event: final L&F planning meeting. Location: Blue Zone, 4th Floor, Royal Festival Hall, Southbank, London. Have you got something you would like to present relating to the core issues of the Land & Freedom Camp? Perhaps you’d like to express yourself through music, poetry, theatre or another art form? Have you got an activity or workshop that will empower people? If so, please send an email to landandfreedomcamp@aktivix.org with what it is that you want to do and we can organise a time and day with you to do it on Clapham Common between 17th Sept and the 25th. 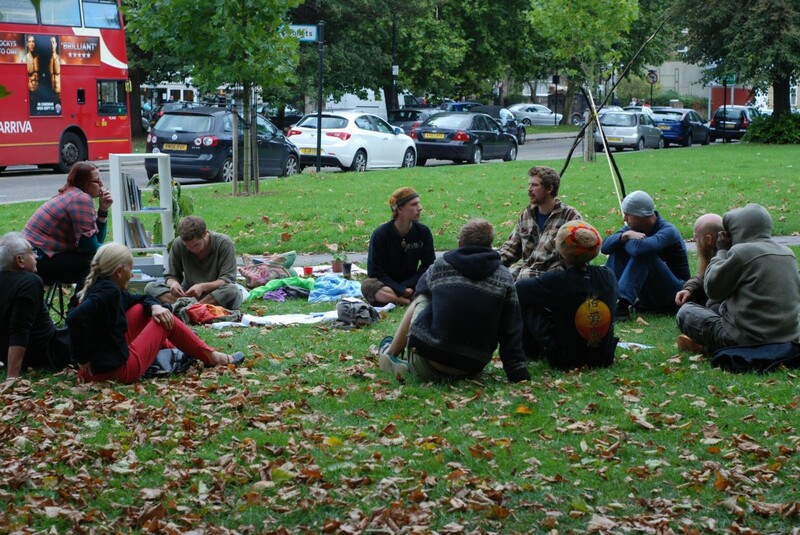 If you’d prefer, just come along to the camp itself (exact details of the location to be posted on landandfreedomcamp.squat.net on the 17th Sept).